Can You Improve Your VO2max? VO2max is a relatively strange concept to a lot of runners, and especially the general population. It turns out, however, that there is a relatively easy way to improve it dramatically and improve running performance. Important first, though, is to understand what exactly your VO2max is. Your VO2max is the measure of the amount of oxygen that your body can take in while you are running at your maximum capacity. A higher count means that you can perform better than someone with a lower VO2max. The actual standards for male athletes is 2.5 litres/minute, while females are 2.7 liters/minute. This isn’t incredibly important to understand for most runners, but the noticeable performance increase will be enough to show you an improvement. Among runners, VO2max accounts for 70 percent of their overall performance. Sound important? There are a variety of factors that affect this measure. Your own genetic base level plays a huge role and decides where you are going to start out at. 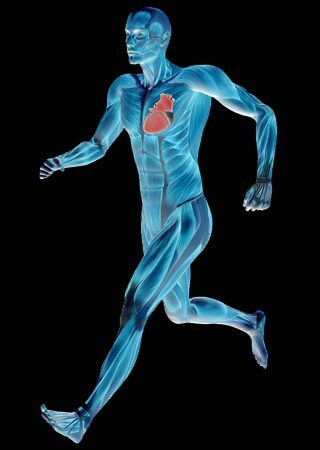 Exercising at 85% of your max heart rate can increase it, but the genetic base controls much of it. Gender also controls it. I’ve already shown that men have a higher average VO2max than women, although both can improve theirs. Improving VO2max is a controversial and sometimes complicated topic. Running at full blast for several minutes at a time will improve it greatly, although that isn’t ideal. At the end of that 5 minute run you’ll be exhausted and probably done for the day if your body isn’t prepared for it. You can keep running, but you won’t be doing much for your VO2max. The best way to improve it is to make use of intervals. Intervals were developed by Dr Izumi Tabata to help Japanese speed skaters make the most of their training time. The general idea is that athletes will work for 20 seconds and then rest for 10 seconds. This works the anaerobic and aerobic pathways more than any other form of exercise, and does it in less time. This gives you a chance to run full blast, but also time to recover a little, allowing you more time at maximum effort. The results of Dr Tabata’s experiment with speed skaters found that there was a 14% improvement in VO2max and a 28% increase in anaerobic capacity. This means that you can dramatically improve your VO2max in a short amount of time and save your life from both wasted time and injury. To add this into your training regimen, replacing a workout or two each week with the following will be successful. Treadmills work great for this, although outdoor tracks can be just as efficient. Simply warm up for 5-10 minutes at a casual pace and then switch into interval mode. Run at full speed for 20 seconds and rest for 10. 8 cycles of this is what was used in many studies proving efficiency and should be enough for most people. That’s it. Just a 20 minute workout once a week will improve your VO2max in an almost unbelievable way. That level of improvement is important to runners and can completely change your performance. A 14% increase in VO2max can be the difference between winning a race and not even placing in many cases, so it is vital that you understand your current performance, and VO2max measurement, and how to increase it. Intervals, in the vast majority of cases, are the best way.